I'm a huge Amy Butler fan (www.amybutlerdesign.com/mainmenu.php). I love her bold colours/prints but most of all her freshness. 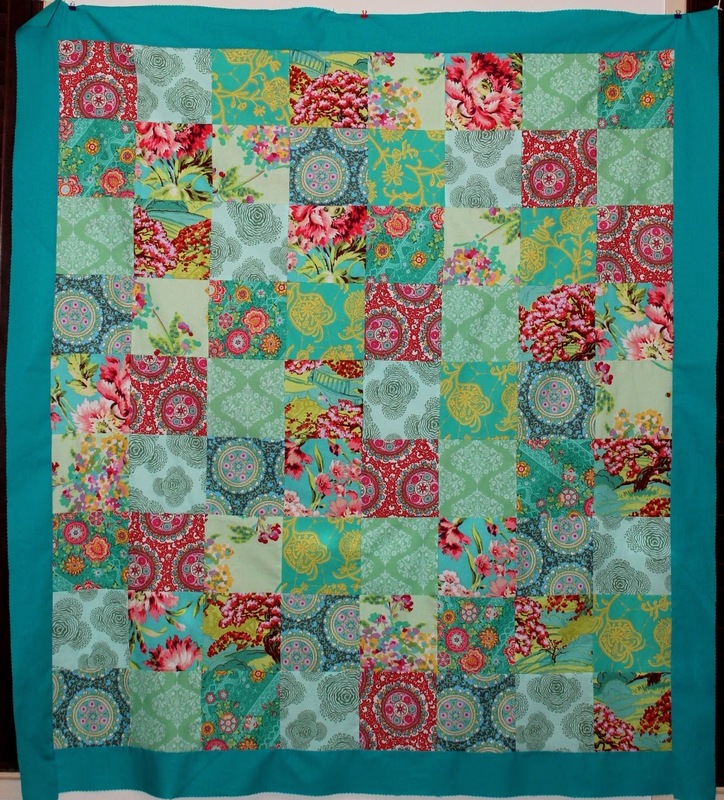 The above Quilt top is from a mixture of several of her fabric stories. It isn't finished yet as I need to put batting and a backing fabric on it then quilt it, but it will be available for sale when finished. Are you a Tanya Whelan fan?